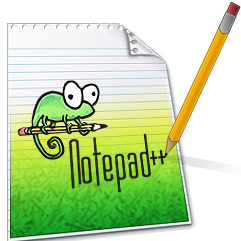 What are the alternatives to Notepad++ on Ubuntu? 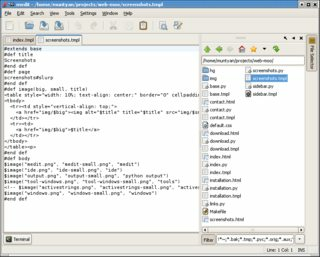 I use Notepad++ on Windows 7 and I want to know if there is a good substitution for it on Ubuntu. I want something that is good for editing html files. Of these, Geany and GEdit are my favorites, but it depends on your needs. If you are looking for something more complex, there is the Aptana Studio which I mentioned in detail as an answer in this question: Basic Web Development IDE/Editor like Dreamweaver? 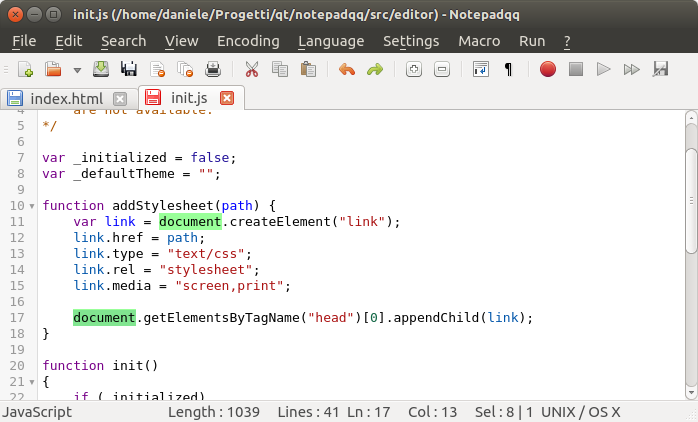 Notepadqq is a Notepad++-like editor for the Linux desktop. As another option, SciTe is based on the same "editing building block" of Notepad++, Scintilla. Then, download the Notepad++ Windows installer, right click it, and select Open With -> Wine Windows Program Loader. Follow the typical installation process and you should be able to open Notepad++ from your Dash. and therefore has huge base of extensions for many use cases. Nowadays I would recommend Visual Studio Code. It's free, open-source and runs everywhere! Visual Studio Code is a source code editor developed by Microsoft for Windows, Linux and macOS. It includes support for debugging, embedded Git control, syntax highlighting, intelligent code completion, snippets, and code refactoring. It is also customizable, so users can change the editor's theme, keyboard shortcuts, and preferences. It is free and open-source, although the official download is under a proprietary license. Visual Studio Code is based on Electron, a framework which is used to deploy Node.js applications for the desktop running on the Blink layout engine. Although it uses the Electron framework, the software is not a fork of Atom, it is actually based on Visual Studio Online's editor (codename "Monaco"). Bluefish is very good for HTML and CSS in my opinion. The usual source view options, split-view, line wrap, line numbers etc. Full source code highlighted printing. Standard text search OR regex search in current or all open files. Jump to function declaration, Find Function declaration. Find API declarations in installed Gtk-Doc's. 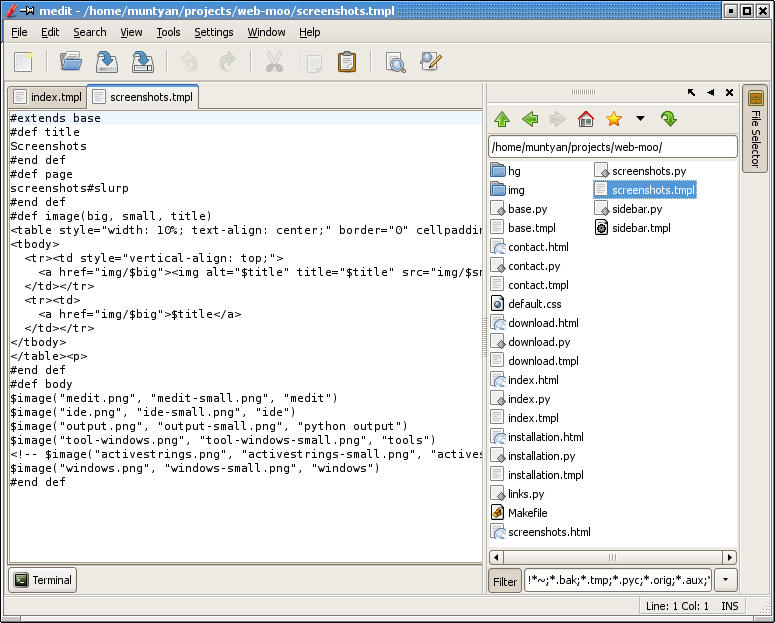 Find and open include file. Run external tool synchronously or asynchronously. Pass selected text to external tools. Spell checking via ASpell, check selected word or check document via tab menu. Multiplatform - works on unix and windows. Plugins: can be written in C, Python, or Lua. Configurable tools available from the main and context menus. They can be written in - Python or Lua, or it can be a shell script. Regular expression search/replace, grep frontend, builtin file selector, etc. 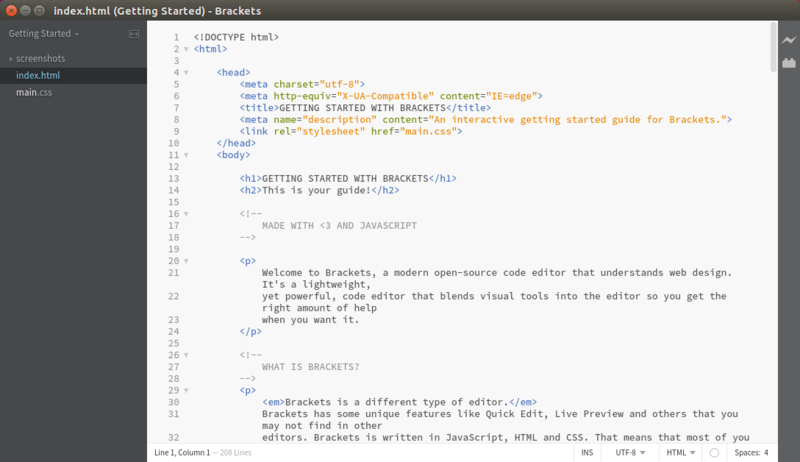 Brackets is a modern, open source text editor that understands web design. It's crafted from the ground up for web designers and front-end developers. I've not been able to get notepad++ to work with wine/ubuntu. Nevertheless, you can install notepadd++ as a snap and it works just fine. Go to https://www.ubuntu.com/desktop/snappy and follow the links. Snaps are available for a variety of containerized software packages. The snap "store" is located at https://snapcraft.io/store. The homepage is https://snapcraft.io . Or check out https://linuxconfig.org/a-beginner-s-introduction-to-snaps-the-universal-linux-package-format or https://en.wikipedia.org/wiki/Snappy_(package_manager). I use both notepadd++ on windows and eric4 on Debian. Eric is superior in many ways to notepad++ in my opinion and is free. Not the answer you're looking for? Browse other questions tagged software-recommendation text-editor or ask your own question. What is the best editor for HTML, CSS etc? Any good alternatives to Notepad++ for code editing in Lubuntu? 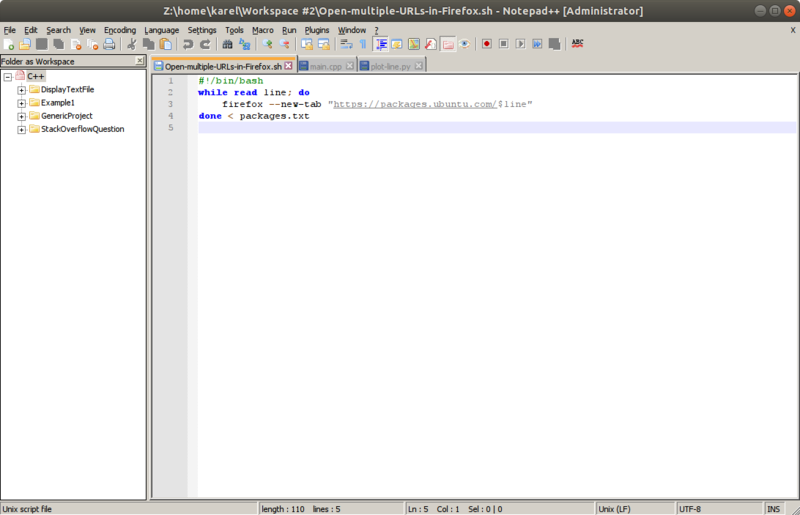 Does Notepad++ work on ubuntu? What text editor will not overload my Xubuntu 13.10? 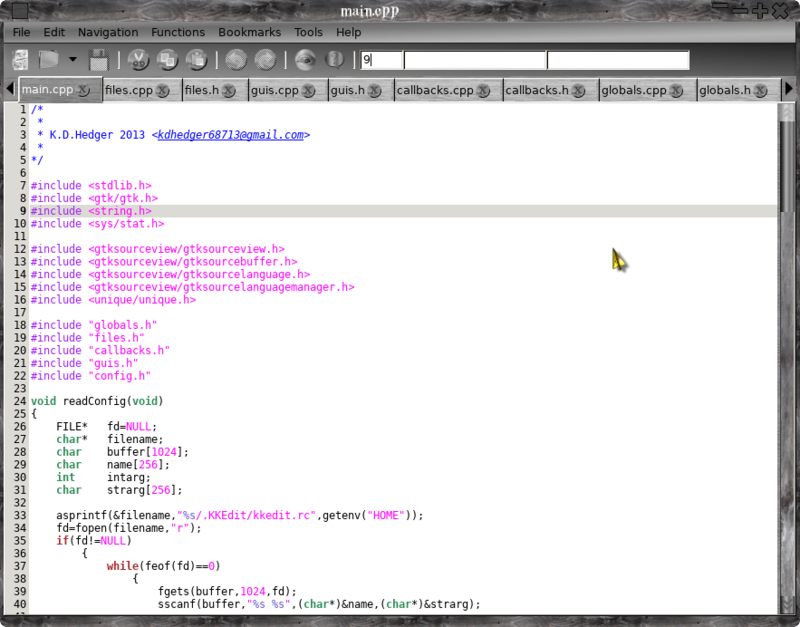 Which is the best PHP code editor for Ubuntu? What GPARTED alternatives are available? Is there a text editor for the command line that uses the same keys as Notepad on Windows? Is there any way to compile Notepad++ from source? What alternatives are there to Fiddler debugging proxy? How to make text file created in Ubuntu compatible with Windows Notepad? What editor can I use as a simple vi/vim alternative?